Packing up your entire home and moving to a new house or apartment can be a physical and emotional strain, and if you’re not prepared, it can also be a financial strain. Whether you are relocating from another state or across town, moving expenses tend to stack up. With a little preparation and foresight, these tips can make your impending move less stressful - on you and your wallet. Do the research so you’ll have a solid handle on the costs ahead and how to cover them, including moving your stuff (hiring movers, renting a truck, shipping ahead, etc. ), gas, food, supplies, temporary lodging costs and storage rental. Don’t forget the deposit for your new apartment, along with any startup fees and deposits for cable, Wi-Fi and other utilities. Include the small items, such as buying cleaning products and restocking your pantry after the move – it all adds up. Software programs are useful for creating a budget template, but if you prefer something simpler, purchase a notebook or bookkeeper’s record book to itemize your expenses. 2. Be Sure to Get Connected. Give notice of your move-out date to your local utilities several weeks before moving. Prior to disconnecting your current electricity service (as well as other utilities), see if the service can be transferred first. Some energy providers, like Direct Energy, for example, will be able to extend this convenience to their customers if they are moving to an area serviced by that company. Transferring services will also help you avoid paying any disconnection fees or security deposits. If a transfer isn’t possible, be sure to schedule your desired disconnection date ahead of time. For the necessary utilities like electricity, gas, and water, let them stay on at least a day or two after your move. This will give you a safety net if there is a delay with the move and you need to stay at the current residence longer, or if you need to return to finish cleaning up. Get a list of all the local utility companies that provide service to your new area from your property manager or real estate agent. Utility companies vary according to an area, but most follow similar procedures for new accounts. This may also be a good time to check with different companies (like electricity and cable) to see if there are any special deals or offers that can net you better rates. Schedule services (especially the necessities like electricity and water) to be connected at your new home on the day you move in or, to be safe, the day before. Instead of buying brand-new boxes, visit a recycling center to see what boxes can be salvaged, go to grocery stores, liquor stores and other retailers. Restocking leaves these businesses with plenty of extra boxes that are free for the taking. Ask friends, family, and your social media network to see if anyone has extra boxes to give away. Similarly, rather than shelling out more cash on packing materials like bubble wrap, use blankets, sheets and newspaper (but watch out for the ink that can get on certain items) to wrap valuables to keep them from breaking. Check out additional tips on finding deals on moving supplies. Seriously – begin packing several weeks, or even several months in advance. Items such as wall decor, picture frames, and out of season clothes can all be packed away with little disruption to your family’s daily life. If you begin far enough in advance, packing for your big move can be relatively hassle-free. It also allows you time to make sure that your fragile items are handled and packed correctly, which can help prevent problems later. If hiring movers (or just to save time in general), consider developing a color-code system for your new home and boxes. Determine a color for each room in the home, then mark each of your boxes with the corresponding tape. For instance, place red tape over the boxes designated for the kitchen, blue tape for the living room and so on. This way, you will not have to tell the movers where to take each container. It will make the moving process that much quicker and cost-efficient. You should carefully consider how much you want to take with you to your new home. Once you figure out what you want to pack up, sort out what you can sell and donate the rest. There may also be practical considerations. For example, if you’ removing from somewhere like Michigan to a state like Texas, you can probably sell or donate a good portion of your heavy winter clothes – you just won’t need them. If you downsize effectively, you save money, time and energy it would take the transport unnecessary items to your new home. Your donations might even earn you a few tax credits! For the items you’d like to sell, consider having a garage or yard sale. You can also take pictures of your unwanted items and post on social media selling sites. The extra cash can help pay for moving expenses. Get valuable family jewels and other costly items appraised and documented before packing. This can help with claims should any items be damaged or stolen in the move. A moving company will offer insurance to protect against these potential losses, but sometimes homeowners’ insurance can also protect high-value items. Always check your insurance policy before . Placing valuables in a safety deposit box is another way to protect your valuables from theft and damage, if you are moving locally. DIY (Do-It-Yourself). Save a lot of money by renting a truck and rounding up friends and family to help with the move. You may have to sweeten the deal with pizza and snacks, but this is still the cheapest route to take versus hiring movers or shipping your possessions. Call the Pros. If you wish to save time and stress and have some flexibility in your budget, it makes sense to hire professional movers – they already have the truck and the tools, and you don’t have to feed them! Contact at least three professional moving companies to compare prices. Utilizing a moving service is a more traditional and convenient way to move, but if you’removing from out of state it can be more expensive. Pack Your Own Pod. With a pod, the company will drop off a portable moving container to your address, and you load it up at your convenience. On the specified move date, they will come pick it up and take it to your new address. This can help save money on movers, as well as saving you time and stress by making the entire process more manageable. Research pod companies in your area to find out about costs, their reputation in the transport industry and if they offer nationwide delivery. Shipping Made Easy. Traveling light? Shipping your items can be an affordable way to move if you do not have any furniture or large electronics to transport. Several airlines offer cargo shipping services. In addition, courier companies offer flight cargo service with DHL, Emery and UPS being the most popular. To determine the total cost and available shipping options, visit each company’s website or call for shipping quotes, rules and regulations. Make sure you have calculated the dimensions of furniture and possessions as well as the total weight. Keep in mind that if you are planning on moving heavy furniture and/or a lot of items, shipping expenses can add up quickly and you could end up paying much more than the cost of hiring professional movers or moving yourself. Bonus Tip: Electricity and natural gas service is deregulated in some regions of the country. This means that residents have a choice when it comes to selecting their retail energy provider. Direct Energy offers customers a wide choice of plan options, innovative tools to help you save and home services. 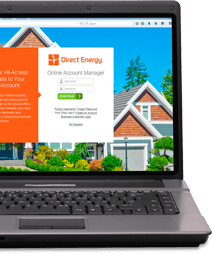 If you are looking for a new energy provider, visit www.directenergy.com to see if we service your area and take advantage of savings today!